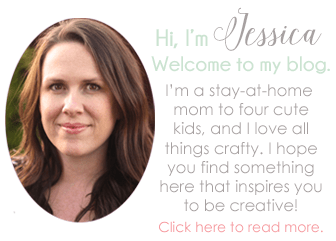 If there’s one thing I like to hoard, it’s craft supplies! For some reason, I have a bunch of scrapbook paper sitting around that I never use. 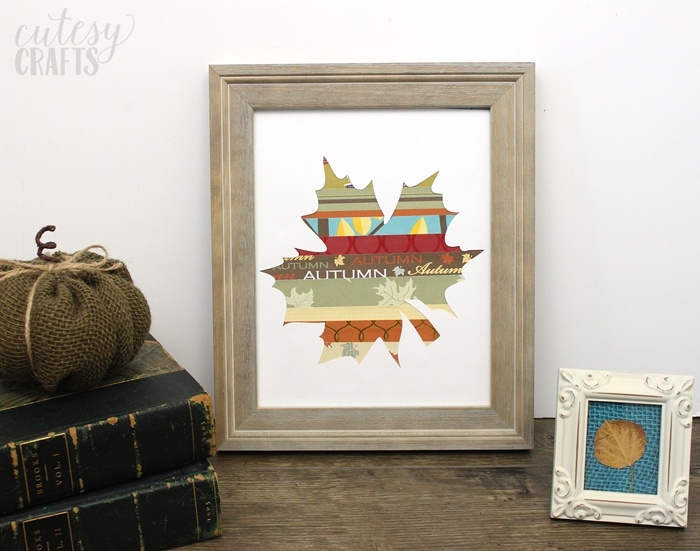 I found a bunch of fall-themed paper and decided to make it into this easy fall craft. 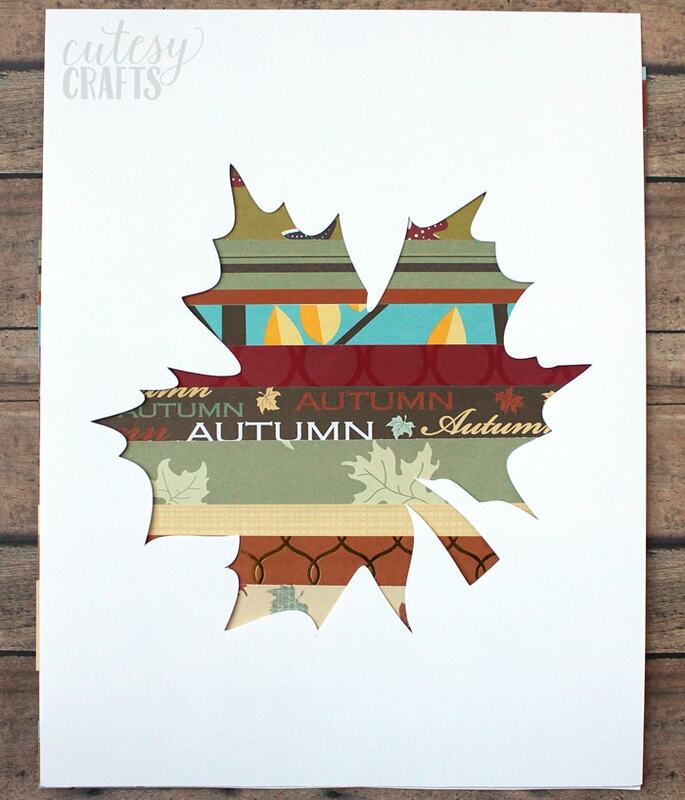 It’s a great way to use up some paper scraps, and is a lot of fun to make. This one is so easy the kids could even give it a try. It would be really neat to see all of the variations they come up with. First cut out several strips of scrapbook paper. It’s okay if they aren’t the same thickness. Just make sure they are long enough to go across the width of the leaf. 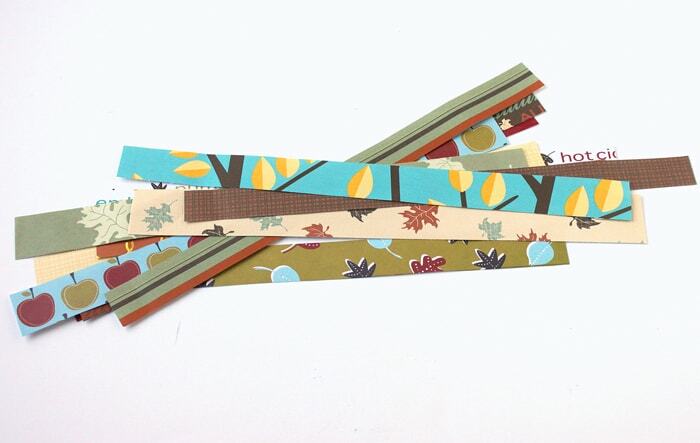 Glue the strips of paper across a piece of white card stock. Overlap the edges slightly to make sure none of the white card stock is showing. 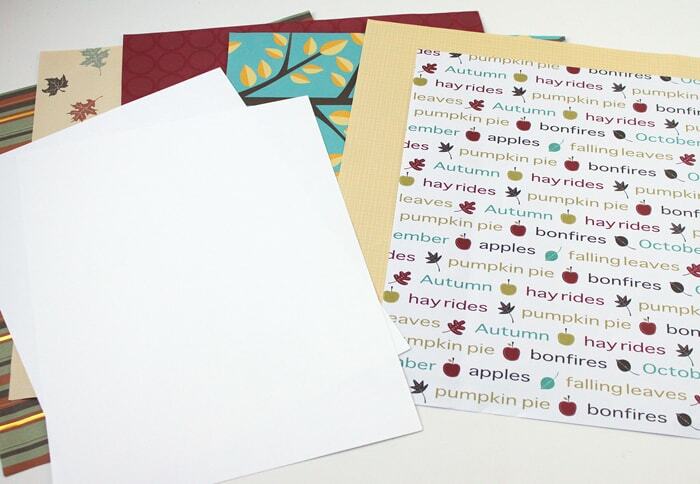 Cut a leaf out of the center of a second sheet of card stock using the template or cut file provided. I used my Silhouette, but a pair of scissors works too. 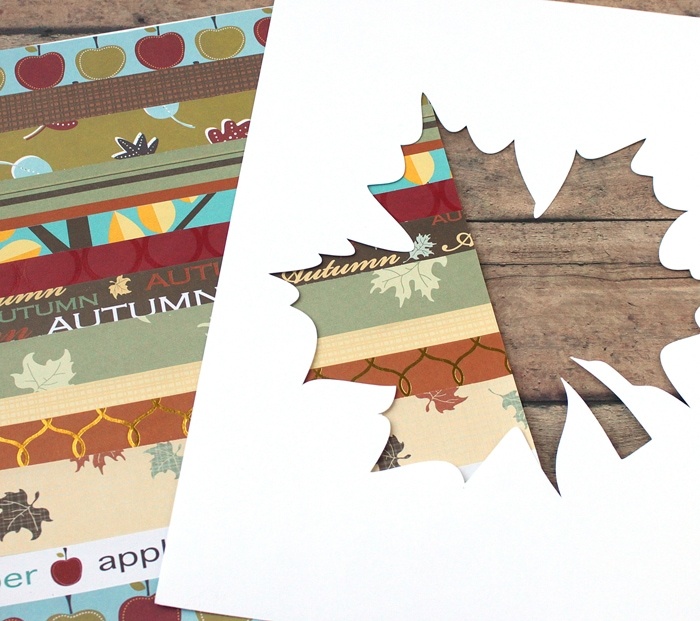 A simpler leaf might work better if you are using scissors though. 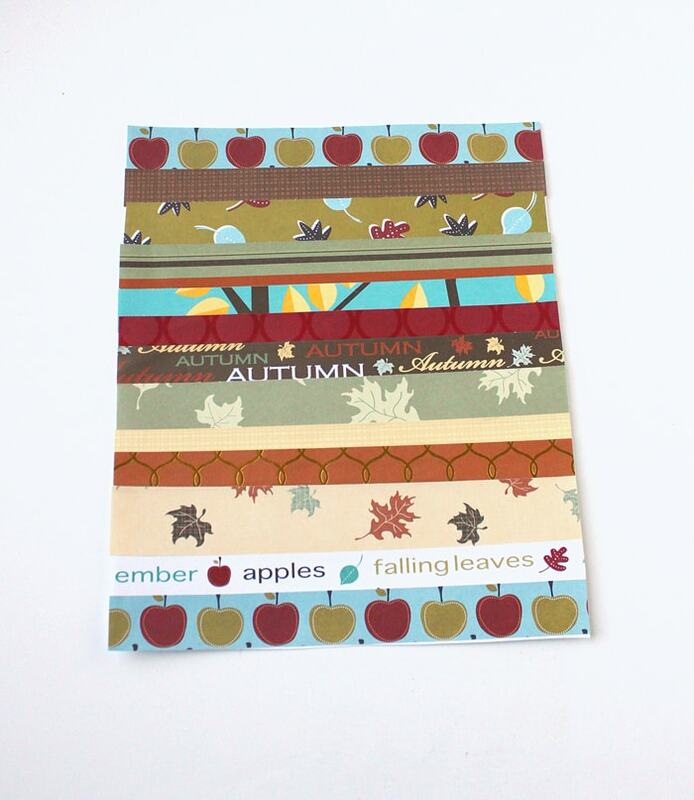 Put glue on the back of the sheet with the leaf cutout and glue it down on top of the scrapbook paper. You can pop the leaf into a frame or leave it as is. 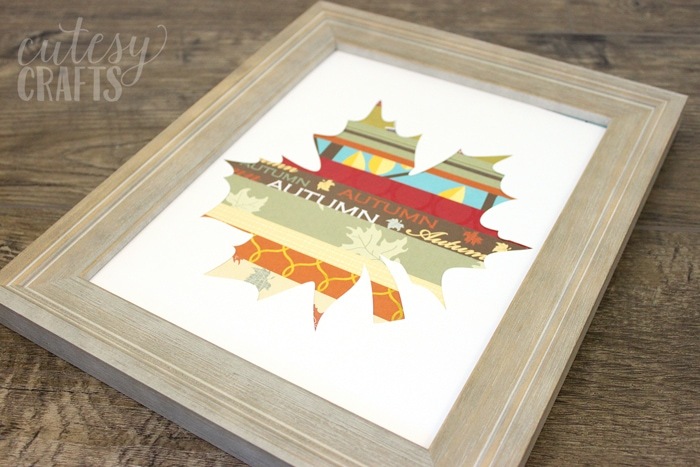 Such a fun and easy fall craft! 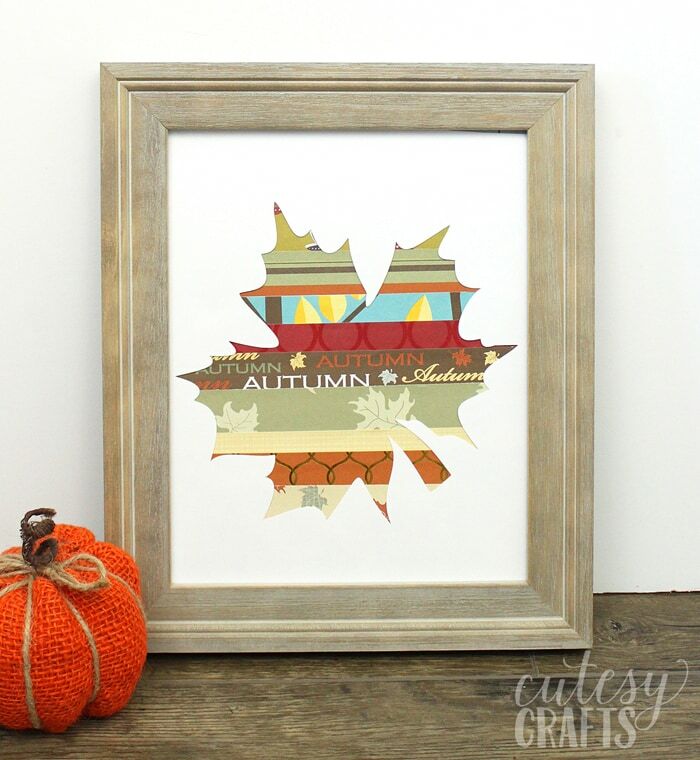 Click here more fall and thanksgiving crafts.